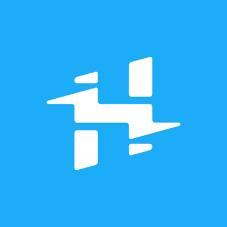 With a community of more than 100,000 developers, makers, and entrepreneurs, Hackster.io enables users to showcase their portfolio, gather feedback on projects, and learn more about internet-connected hardware. Now, users can add Amazon Echo, Alexa Voice Service, and Alexa Skills Kit tags to their projects to be featured on the Amazon Alexa page on Hackster. We are inspired by the community members who have started to share what they built with Alexa from a voice-controlled drone to a dancing robot, and even a stormtrooper blaster. Hackster allows you to share full tutorials with a list of components, schematics, and code so anyone can replicate these projects at home. Build voice experiences, share your expertise, and connect with the Alexa community by joining the Hackster platform. Follow Alexa to stay tuned to new projects built by the community and powered by Alexa. We are excited to see what you build next. Special Offer We're offering free Alexa dev t-shirts for all developers who publish their skill and complete our form by March 31, 2016. Quantities are limited. See terms and conditions. Remember, you can get a skill up and running quickly using our Trivia Skill Template.